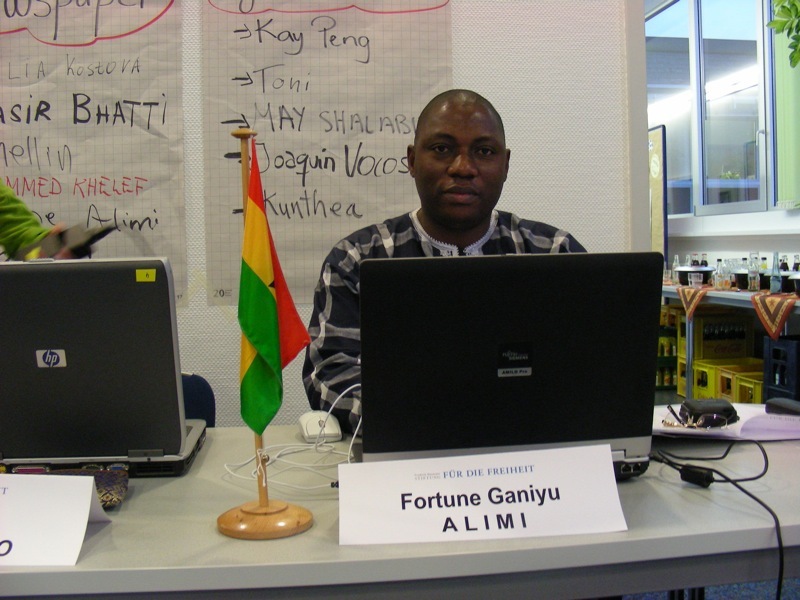 DAILY GUIDE’s Editor, Fortune Alimi is in South Africa for this year’s Highway Africa Conference in Grahamstown, courtesy of MTN, the leading telecommunication company. The Highway Africa Conference is a training programme for media personnel across the continent and beyond. This year’s event under the theme: “Reporting Africa – 2010, Development and Democracy,” will focus on the 2010 FIFA World Cup in South Africa. “The 2010 FIFA World Cup will be African football’s crowning glory for the incredible contribution this continent’s footballers have made to the global game. We as South Africans are honoured to be hosting Africa’s first FIFA World Cup on behalf of the entire continent. And it’s critical for us at the 2010 Organising Committee that we involve and engage our fellow Africans in the World Cup process. Highway Africa gives us a wonderful opportunity to interact with hundreds of African journalists from over 40 countries and we thank MTN for helping to arrange this great platform for us to update the continent on our progress,” says Danny Jordaan, CEO of 2010bOrganising Committee. Over 400 journalists from more than 43 countries in Africa are attending the three-day conference organized by Rhodes University’s School of Journalism and Media Studies and supported by sponsors such as MTN Africa, South African Broadcasting Corporation (SABC) among others. The three day event opened yesterday with a reception at Nelson Mandela Bay Stadium, Port Elizabeth, and was graced by personalities such as Dr. Saleem Badat, Vice Chancellor of Rhodes University, that country’s Minister of Communications, representatives from SABC and Telkom. MTN has chosen the 48 000-capacity Nelson Mandela Bay Stadium as the venue to host the reception in order to give the journalists a glimpse of what South Africa has to offer during the 2010 FIFA World Cup™. MTN is the first and only African global sponsor of the FIFA World Cup which will be hosted in Africa for the first time in 2010. The conference is aimed at both celebrating and interrogating journalists and the media for their role in sports, their identity and also how these promote the African agenda. Although the main focus of the conference would be on sports there will be key sessions on development and democracy and how African media has reported on crisis. It ends on Tuesday.